I’ve been in contact recently with BlueBeard’s revenge shaving products ( http://www.bluebeards-revenge.co.uk ) , about possibly doing a product review for them. They are a newish company in the men’s shaving product arena, and their market approach for the moment seems to focus on social media. So when I saw a tweet message go by, about them looking for a couple of blokes that would be interested in some kind of partnership, my interest peaked. I have been keeping an eye out on this company for a couple months, essentially when I first heard about their “beard reduction formula”. But being in Montreal, and traditional shaving supplies being only accessible through online outlets, and even at that, not all places ship to Canada, I hadn’t taken it further then just keeping an eye on them. Well they replied to my message, first asking about product reviews, and if I was “man enough for the challenge”. Not to take challenges lightly, I replied in kind. We are now working out details about the what/when/etc. I am hoping to get my hands on some of their products, and they do look interesting, especially their safety razor. I really like the idea of doing some product reviews, I’ve already done an unofficial one in an earlier post about Sir Irisch Moos shaving soap, and I like the format. I’ve found my interest in writing again, and this is a pretty good outlet for it. 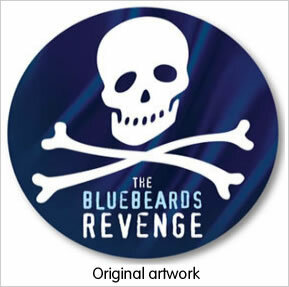 A Tub of BlueBeards Revenge shaving cream should be on its way to me today. stay tuned.